Based on the iconic 1993 film Jurassic Park, bring home a souvenir (or two) of your favorite dino theme park. 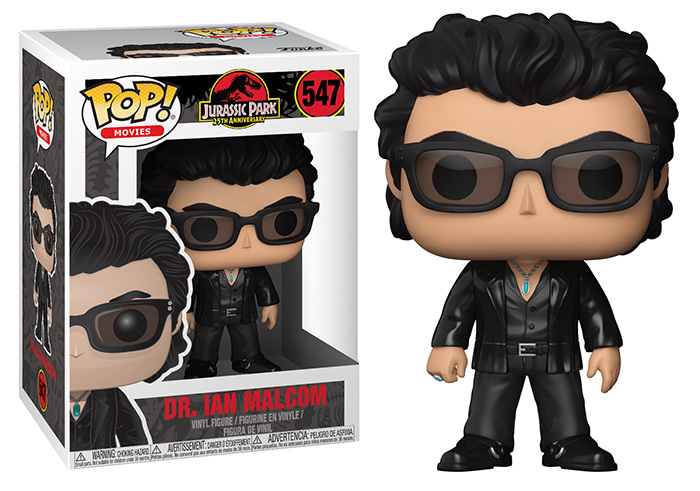 This Jurassic Park Dr. Ian Malcolm Pop! Vinyl Figure measures approximately 3 3/4-inches tall and comes packaged in a window display box.